A high-quality garden spade is a tool that can last an entire lifetime, performing the everyday tasks throughout the yard and garden with ease and style. 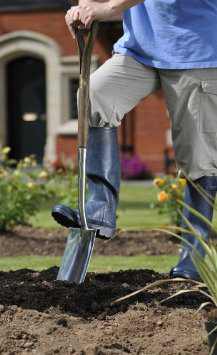 The Joseph Bentley Digging Spade boasts a stainless steel head that has a handy tread edge at the top, so you can really slice through the soil. This sturdy spade is ideal for digging, turning the soil, planting trees and flowers and a wide variety of garden tasks. The Joseph Bentley Digging Spade has an extra-long steel shaft joined to a wooden handle made of solid ash. Not only does the spade offer the classic English style, the handle also features a contoured wishbone grip for greater comfort in use. Established in 1895, Joseph Bentley is known throughout England for making high-quality, traditional garden tools that are backed by a lifetime warranty. 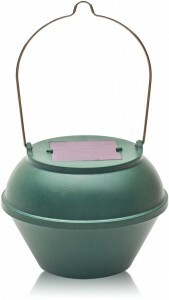 The Joseph Bentley Digging Spade sells for $49.99 in fine gardening stores and online at www.homedepot.com and www.amazon.com. A good pair of pruners (or secateurs, as they are called in England) is instrumental in keeping your garden looking its best. Made in Great Britain and just now available in the USA, the Joseph Bentley Shaped Secateurs feature a Teflon-coated, carbon-hardened steel blade with a swift bypass action that deliver a cleaner and smoother cut. The comfort-shaped handles are made of oak wood for performance and style. This high-quality hand tool is perfect for pruning roses, shrubs and all types of plants. These secateurs feature efficient wrist alignment along the handles for even greater comfort, along with sturdy wooden handles full of old-world quality and charm. When not in use, the blades can be easily removed for cleaning, ensuring that they stay as smooth and able as when first purchased. Joseph Bentley tools have been made since 1895, and the company is known throughout England for making high-quality, traditional garden tools that are backed by a lifetime warranty. The Joseph Bentley 7-inch Shaped Secateurs sell for $24.99 in fine gardening stores and online at www.amazon.com and www.homedepot.com. Leaving two extension cords plugged together outside just got safer. Twist and Seal provides outdoor weather protection for electrical cord connections, and it is the perfect way to keep cord connections dry in any outdoor setting—including near pool pumps, ponds and water fountains. A Twist and Seal can accommodate plugs of any size, from smaller holiday lights plugs to commercial-grade extension cords. The foam inside a Twist and Seal is slightly larger than the plastic housing on the outside. 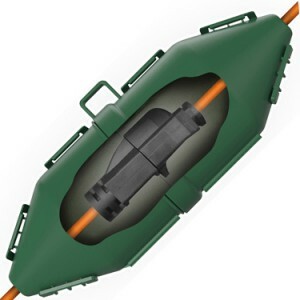 As you push the shell together around two joined extension cord plugs and twist it, the foam compresses to create a radial compression around the cord. Each Twist and Seal is made of a tough UV ray resistant and weather resistant commercial grade plastic that will withstand many years of exterior use. The heavy-duty, weather-proof Twist and Seal sells for about $8.95 at participating Walmart, Do It Best, Ace Hardware and other fine stores, or order online at www.twistandseal.com. For more information, call (888) 945-4545. Got plants? iGrow uses patent-pending technology to increase the growth and production of virtually any plant that has a green leaf. iGrow generates negative ions that slightly charge the plant and allow it to maximize photosynthesis. The slight negative charge allows plants to more easily absorb the positively charge nutrients in the soil, thus increasing growth and discouraging insects and disease. The ion shower created by iGrow also counteracts the effects of pollution. The solar-powered iGrow dramatically increases plant growth and fruit yield. Simply hang a compact (4” x 4” x 3”) iGrow unit 9 to 12” above plants. The iGrow increases plant growth within 3 feet of the unit, and within weeks you will be amazed at the increased growth, vitality and production of your plants. The solar-powered iGrow never needs batteries, and it is all natural for people and pets. The iGrow sells for $19.99 at www.igrowinfo.com.